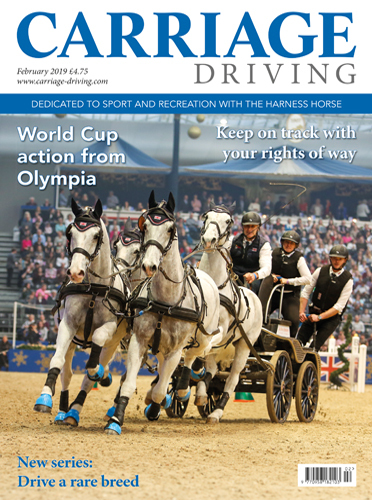 All the latest news and information from across the carriage driving disciplines. We celebrate junior drivers at the FEI European Youth Driving Championships. 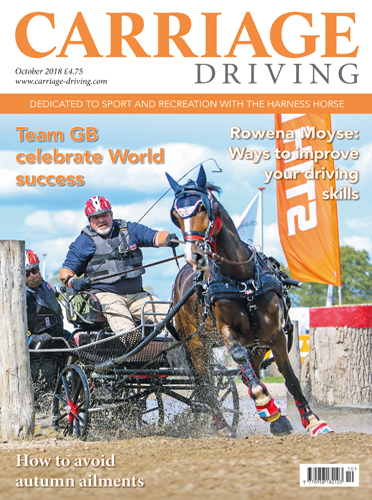 The GB Para team is in the medals at the FEI Singles and Para Driving World Championships. 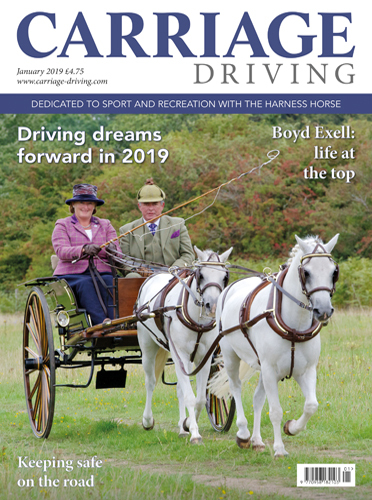 The British Carriage Driving National Championships was a great success. 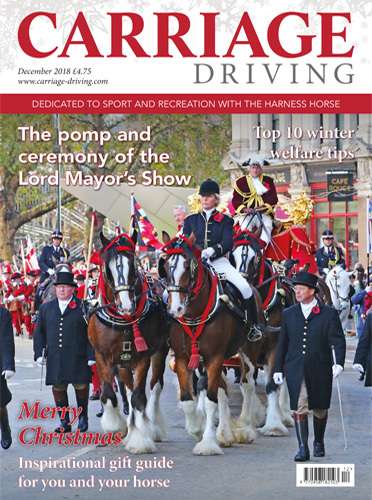 Neil Wray reports on thel Victoria Food Company Carriage Driving Extravaganza. Susan Dunne meets with the final Horse of the Year Show qualifiers. 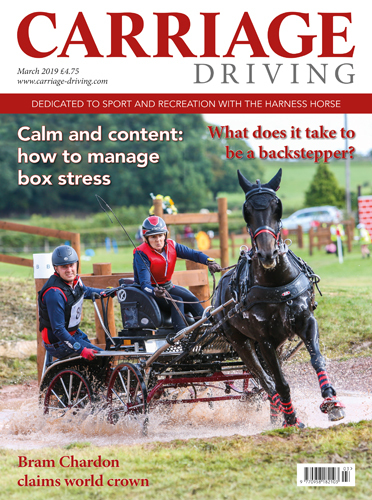 We visit T Cribb and Sons stable yard and talk to Head Coachman, Peter Gibson who gives us an insight into this unique yard. 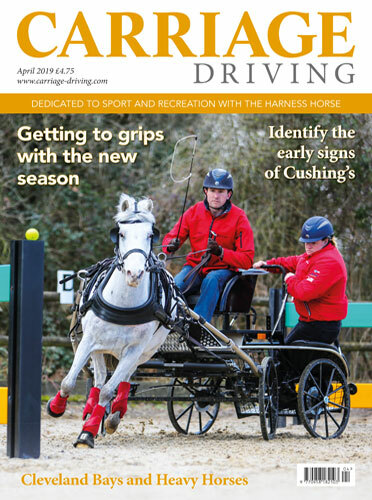 All the latest Scurry news and a roundup of all the competition results across the country. The second part of our training series with Instructor Rowena Moyse, this month Rowena works with Angela and Ben. In our Spotlight on the Netherlands we meet the van den Heuvel family and discover more about the KWPN. Our health and welfare focus this month is on how to avoid Autumn ailments.